Greased Goat – oops! Grus Gott! Oh my goodness, our anniversary vacation was so INCREDIBLE!! We returned home last evening and now it just seems like an incredible dream. 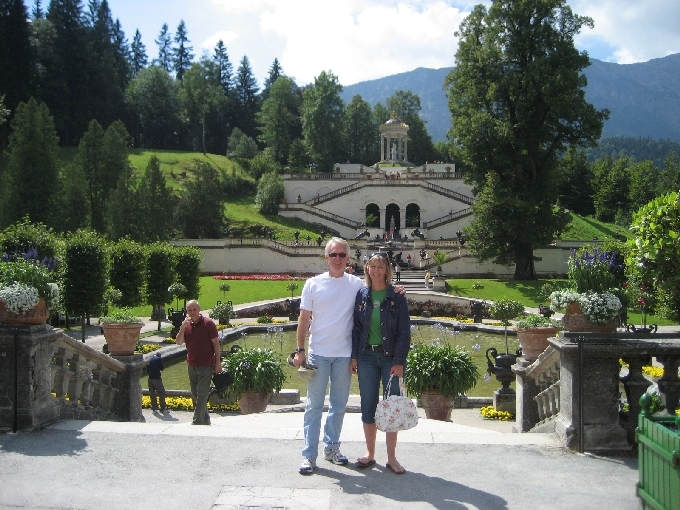 Our first stop was Garmish in the Bavarian Alps. 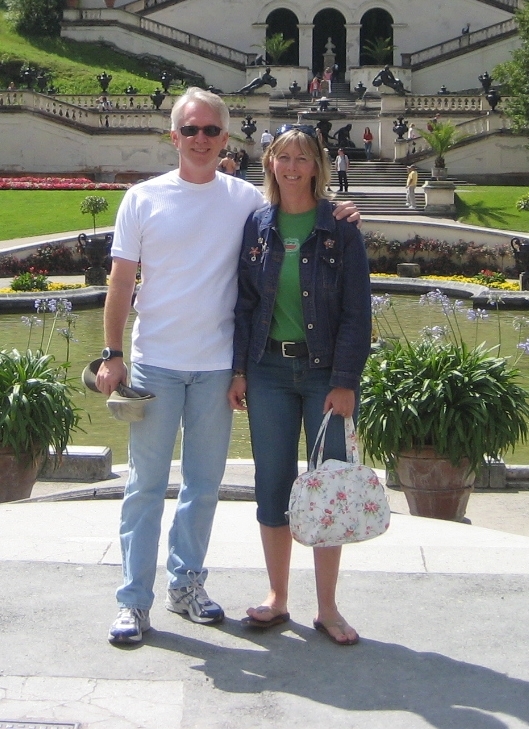 We visited friends there, Jim and Ia Howcroft. My husband and Jim were in the same fraternity at Duke University, way back when. Jim is a Colonel in the Marine Corps and is currently stationed in Garmish. What a cush assignment! There home sits at the base of the alps and the weather during our visit was gorgeous. Bavaria is a wonderful and beautiful area. 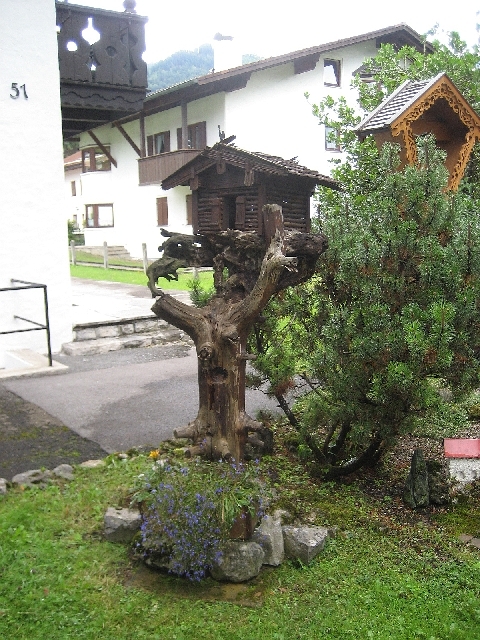 Every where you look there are hiking trials and biking paths and quaint and charming architecture. The greeting in Bavaria is Grus Gott and I was able to remember that by thinking to myself, ok, just think greased goat but throw in a german accent! Ha! 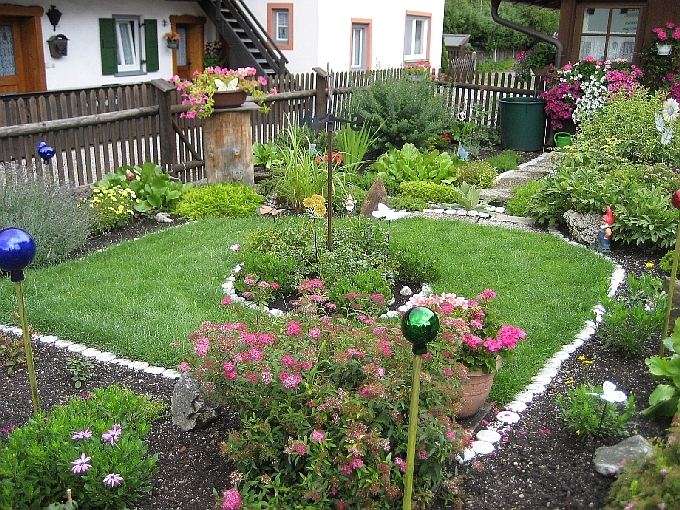 Here is a very cute garden, can you see the gnomes hidden in here? I love these fungus shelves, what a clever idea! Pretty flowers too! My husband said if I took a picture of this birdhouse he would build one like it for my garden! See down at the corner under the birdhouse. . . I love this concrete church with the metal roof, I’m going to try and make one for my garden. 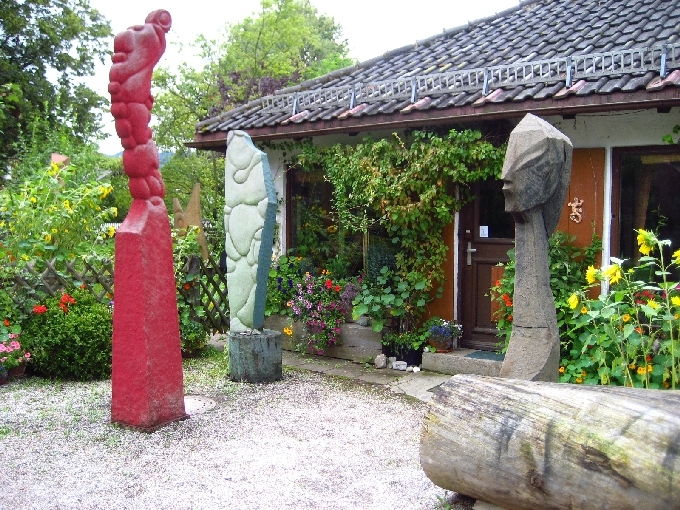 We found this beautiful garden filled with sculptures on one of our walks. 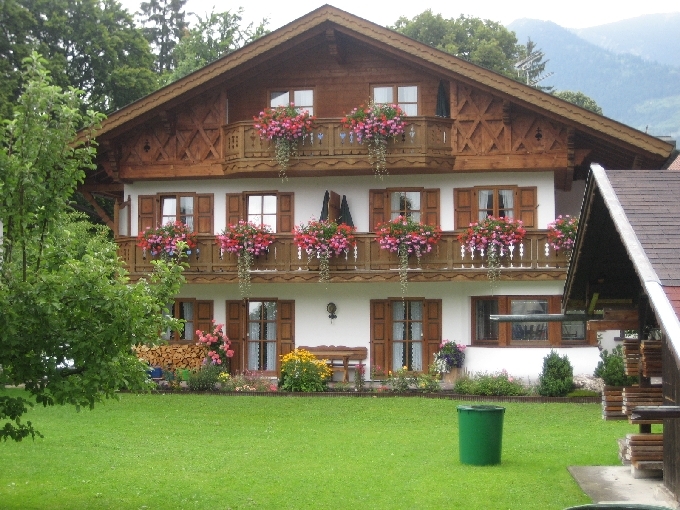 The Bavarian style is so charming and of course those flower boxes are to die for! 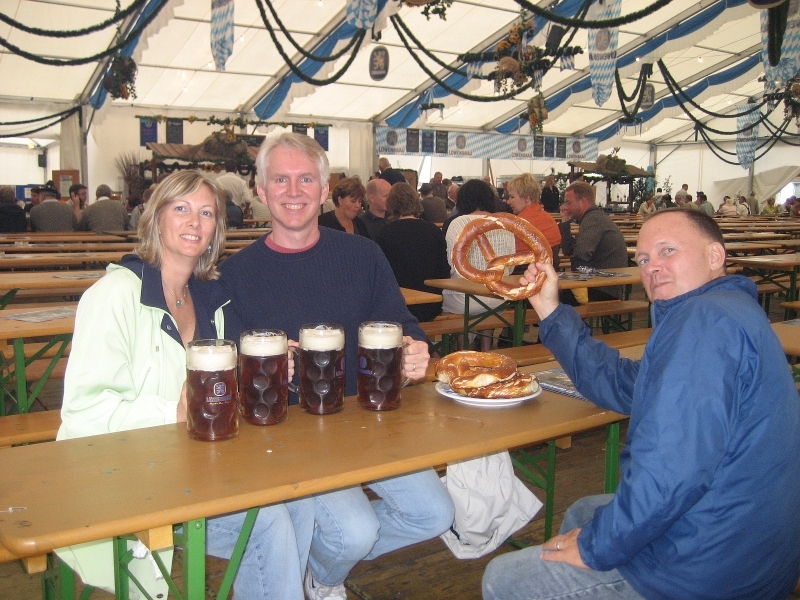 Here we are enjoying the number one pastime in Germany, drinking beer!! 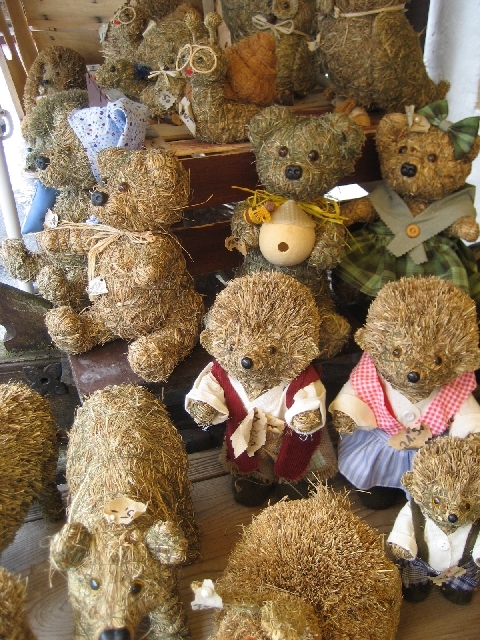 We were lucky enough to time our visit with the Garmish Village Festival. We visited the most incredible castle estate, Linderhoff, so fabulous!! The weather was incredible, while the east coast baked under a heat wave we enjoyed the cool nights and moderate sunny days in Germany. Here is our close up. . .
After Germany we headed on to France and Paris! More to come. Love the photos. Glad you had fun! Wow! So happy for you and your husband, that is a wonderful celebration! Your pics are great!! So inspiring and fresh! Love it! Lovely pictures. That Bavarian Chateau is so pretty. Hi from the cruise ship Suzy! Glad you made it home safely. Your pics are so pretty. 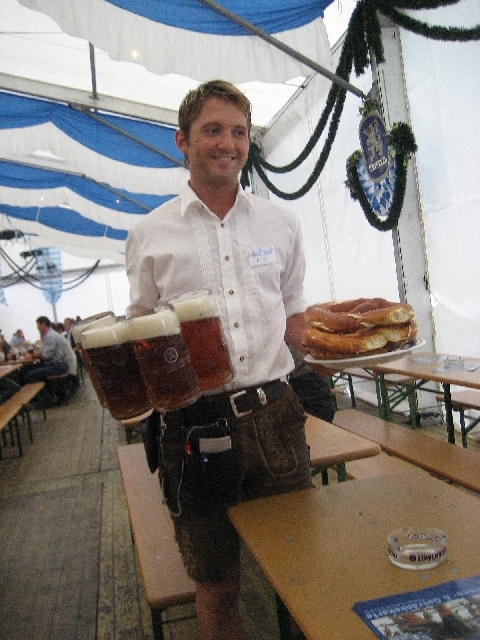 Makes me miss that year I lived in Germany. Well, I’ll see you soon, but for now I have to go eat…I’m sure it’s been at least a couple hours. 😉 Have to pile into a black dress and rhinestones tonight (formal) in order to get the payoff: lobster! talk soon! It looks like you had a beautiful trip! Can’t wait to see more pics of Paris…Congrats on a long and happy marriage! I hope you had Wiener Schnitzel while in Bavaria, had the best of my life on the way back from Neuschwanstein…Beautiful pics! Oh! You brought tears to my eyes. I lived in Germany until I was nine years old and I remember saying Grus Gott and visiting Garmish. Thanks for sharing your trip pictures!